Unique Industries is reckoned as the major manufacturer, supplier and trader enterprise of superior quality of Landscaping Products and Services since the foundation in 2006. We have created the wide extent of products including Railing Planter, FRP Planters and Stainless Steel Planters. Besides, today we hold a nationwide influence to sustain in the motion of our goal of providing quality products with excellent long life, stunning looks, seamless shine and all this at a cost efficient rate. We have continued to lead the supervision for Garden Development Services that gained us credibility in the marketplace. Under the adroit guidance of our CEO Mr. Chirag Patel, our company has emerged as precursor firm of this domain with uttermost attention to quality and client satisfaction. His expertise and marketing skills have gained us vast clientele base to serve. Our team segments are the significant benefit and play a vital role in our market status. They are accomplished manufacturing and supplying specialists, trained professionals and service providing professionals, approved quality controllers, and extremely enthusiastic sales and marketing personnel. Due to their dedication to integrity, we have gotten more effective over the years and succeeded to build a collegial work atmosphere. Our quality, policy sets forth our core terms of the agreement to the determined industrial standards of manufacturing. We have created a set of rules and standards that define the key terms of inspecting the obtained raw material and also supervise our expert quality assurance team members to completely review every finished product. Further, we forward every product in tamper proof packaging to guarantee the seamless finish stay uninjured. 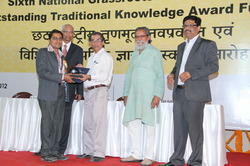 Getting Partnership Award by Dr. R. A. Mashelkar, at Rashtrapati Bhavan,New Delhi. Since we contribute infinite moments forming and examining our products, we have to have a state-of-the-art infrastructure that is all lined up with technological improvements. Our manufacturing base incorporates a vast area and fully outfitted with leading machinery and top notch pieces of equipment to optimize the productivity levels.. Further, our testing, packaging and distribution department are also continually enhanced in sync with the prevailing technological inclinations.we have own Plant Nursery to grow best quality plants for Green wall. Mr. Chirag Patel getting suggestions from our honorable President Smt. Pratibha Devi Singh Patil at Rashtrapati Bhavan, New Delhi. 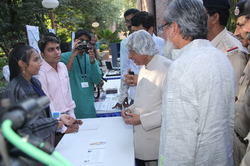 Mr. Chirag Patel discuss regarding our new project with Dr. APJ Abdul Kalam, at IIM Ahmedabad. 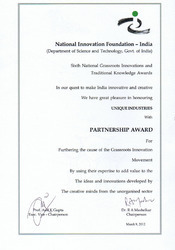 Unique Industries is Archive Partnership Award from National Innovation Foundation, Ahmedabad, India. We understand in the preferences that are the basis of our company. The intrigue behind our longer and prosperous business history of a decade is our responsibility to make the value of uprightness we have ascertained since the inception. To assure that our company functions are docile with integral systems, We provide ourselves with the code of values, which equips us to serve our clients with the accountable and dedicated strategy for quality and cost competitiveness.